Great location for this home with golf course views. Light and bright kitchen with newer stainless appliances. Breakfast nook. Dining area and living room with fireplace, beautiful golf course views! Nicely landscaped front and back. Covered patio. Fenced. 2 car + golf cart garage. 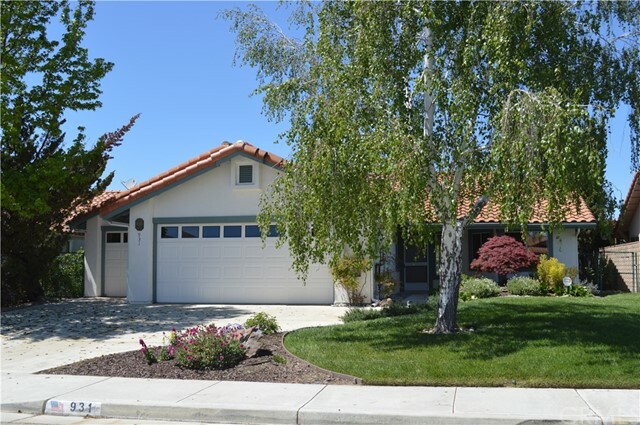 Can you believe that there is still almost an acre lot with a large home and a pool within paso robles city limits? This is it! Remodeled home with easy access to downtown, shopping, schools, and even hwy 101 for commuters. Ample space to spread your wings and for those rv lovers or car enthusiasts, there is a 3-car garage and side lot to store your toys or even possibly build a shop! Take a cannonball in the pool that features a waterfall and gratto, then pull up a chair on the separate slate stone patios to soak in the summer heat. Stainless steel appliances and upgrades throughout. Bring your imagination with you when viewing this home to take in all the possibilities! 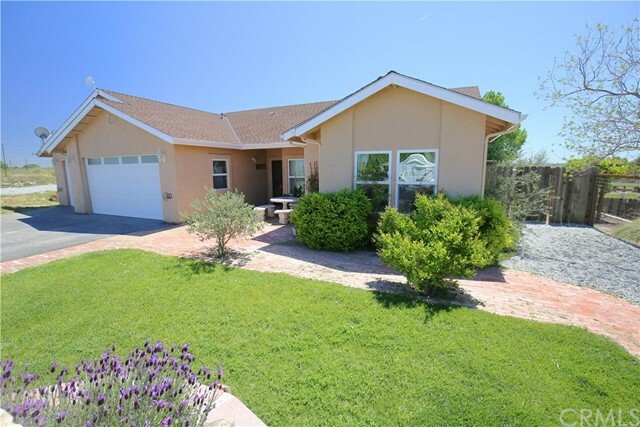 Rare find with two parcels in sierra bonita that make for a large yard and tons of privacy! Cute 2 bedroom, 1 bathroom + den located on a corner lot ready for your redecorating ideas. 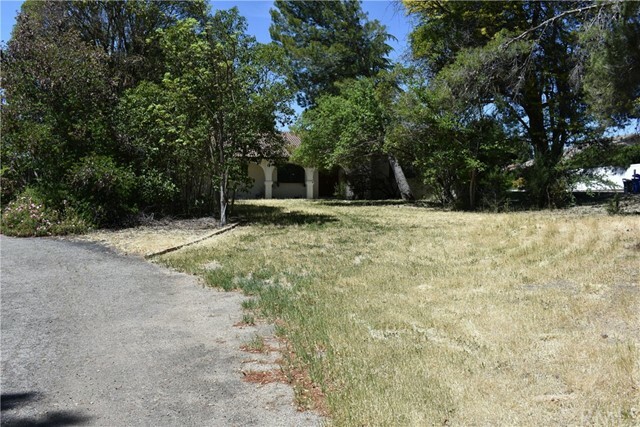 This corner lot has an attached, unbuildable lot with a large fenced flower garden. Enjoy this 55+ community with a low annual hoa fee and peaceful parks to relax in. Conveniently located near a veterans and senior center. Call today to have a private showing. Please do not disturb occupants. This beautiful vineyard view home on one acre is completely set up for horses and other animals. A paved road leads you directly to this updated home with a 3-car garage and lots of extra parking. 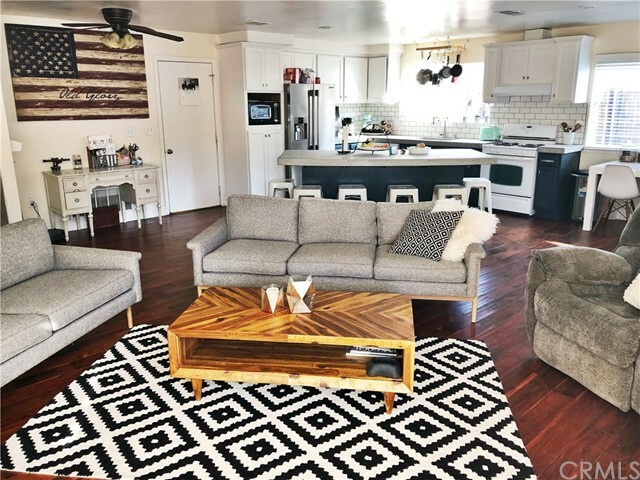 Inside you’ll find hickory flooring, newer stainless steel appliances, upgraded recessed lighting, vaulted living room, gas fireplace, and dual-pane vinyl windows throughout. The master bathroom has dual sinks, a jetted tub, a separate shower, and a door to the back patio. There are drapes on curtain rods throughout the home. The new back patio cover and flagstone flooring is perfect for entertaining, and is your gateway to the back yard, back pasture, horse paddock, and chicken coop area. There is an addition horse pasture with pipe fencing in the front of the home making two separate areas for animals. The front driveway area has been expanded to make for additional parking. The entire acre of land is fenced and cross-fenced with multiple gates including a lockable front entrance gate. Come see this beautiful property with its end of the road privacy. 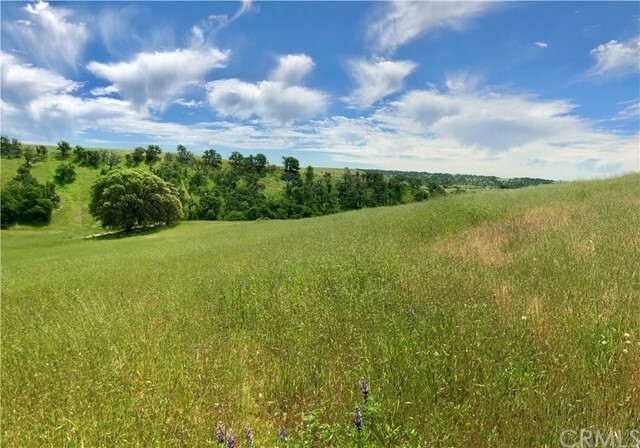 Gorgeous 2± acre parcel of the paso robles countryside! Wide open spaces and beautiful oak trees, the view will not disappoint! Property is within the ground squirrel hollow community service district and there is an annual fee for road maintenance. Listing Agent: Stephanie Villanueva Listing Office: Country Real Estate, Inc. 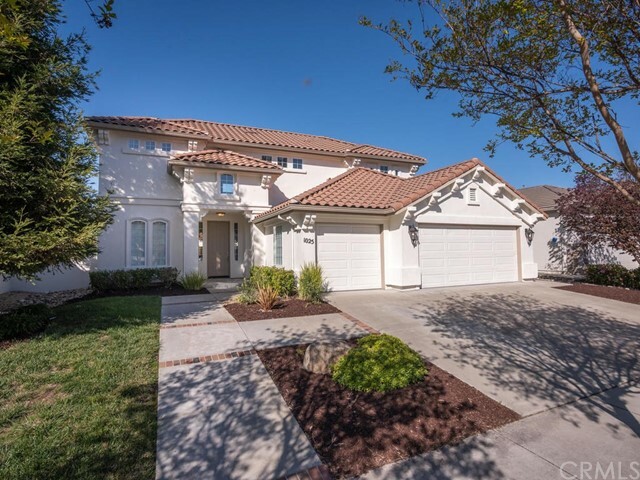 Spacious 2,500± sq ft traditional paso robles home featuring 4 bedrooms, 3 bathrooms and a 3 car garage. The front entry opens into the great room with vaulted ceilings looking up to second level walkway. The windows on both levels overlook the fully fenced backyard and offer plenty of natural light into the home, making the space bright and welcoming. The kitchen is sure to be the heart of the home with its sleek design, abundant storage and open concept design into the dining and family room. 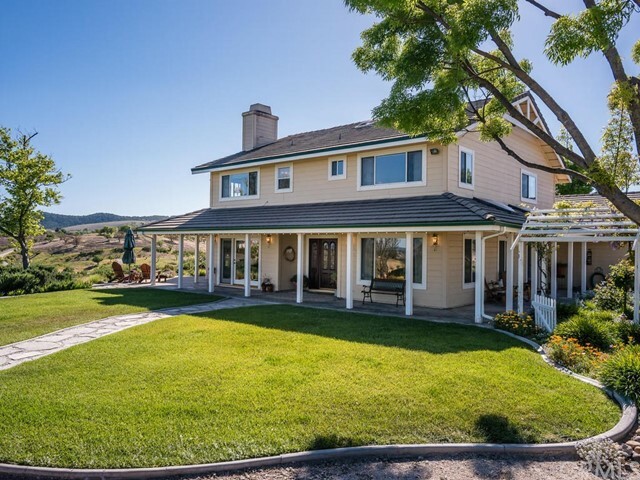 Live the wine country life in this beautifully designed and built farm style home on two gently rollings acres in paso robles. 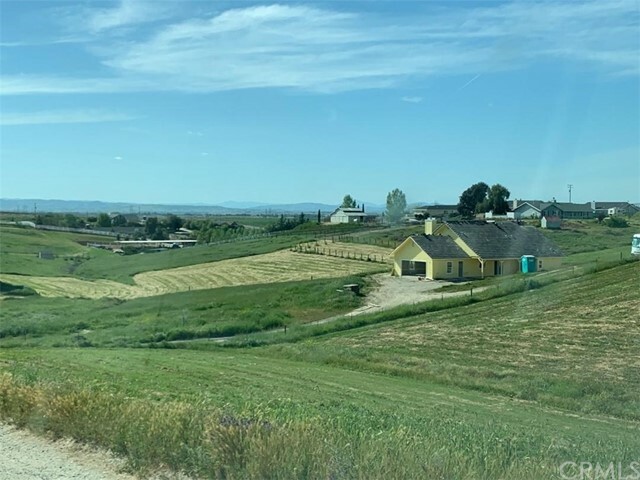 You’ll pass tobin james winery on your way home everyday as this property is within a short walk from this world-famous winery. Enjoy being the first to live in this nearly complete (june 2019) three-bedroom, two-bath almost 1500 sf ranch house. The custom-built home features all new stainless-steel appliances, an actual wood burning fireplace, double bowl farmhouse kitchen sink, custom espresso cabinetry, cashal interior doors and a barn style master bath door. The huge open concept main area of the home provides ample room for entertaining and family life. The roofing is an upgraded blend tile and the garage is fully insulated and finished. All exterior walls are built with 2x6 lumber and insulated with upgraded r-21 and there is an attic fan to keep this home cooler in the summer and warmer in the winter. The fully fenced two acres is zoned for two dwellings and has separate electric meters for the house and well which helps keep the tier costs down. The well reports 15 gpm at about 400 feet for 4 hours and is 820 feet deep, so there is plenty of water on this property as well as a 5000-gallon holding tank. The land is a blank canvas for all your gardening, farming or ranching desires. Have your realtor set up a showing today! 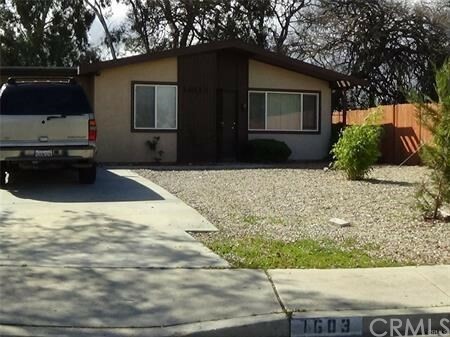 Adorable and roomy 3 bedroom, 2 bath home on a corner lot. Inside you will find an open floor plan with hardwood floors and a wood burning fire place. The kitchen which opens to the living room features concrete counters and subway tile and a large breakfast bar. Enjoy the beautiful outdoor patio with room to garden and entertain. There is room for rv or boat parking. Enjoy the charm this home offers while being close to schools and shopping.